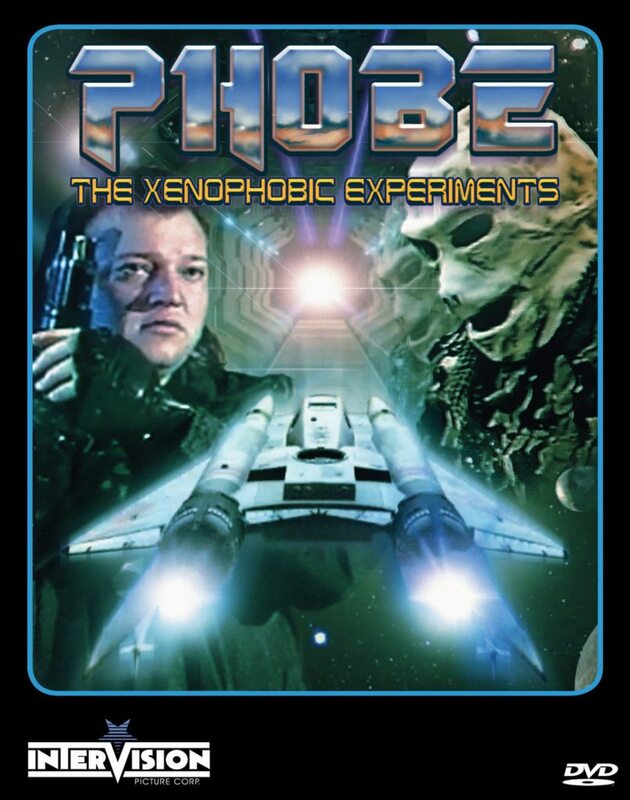 On September 27th, Intervision Picture Corp. enthusiastically returns to the wild world of shot-on-video mayhem with the first ever home video release of PHOBE: THE XENOPHOBIC EXPERIMENTS. Overflowing with the kind of creative spirit and indefatigable commitment to vision that is only possible within the arena of outsider microbudget filmmaking, the Intervision team is thrilled to be introducing this inspiring and ambitious work to a new audience. In 1994, aspiring Niagara, Ontario filmmaker Erica Benedikty was working part-time at a community cable channel. Over the course of a year – and aided by a dedicated team of friends, volunteers and fellow film rebels – she wrote, produced, directed and edited a wildly ambitious, feature-length sci-fi action thriller for only $250. But when she convinced her employers to broadcast the finished film, PHOBE became a local sensation, was invited to screen at festivals, and remains one of Canada’s most infamous cult hits. Intervision is proud to present Benedikty’s ultra low-budget epic – complete with impressive visual FX, Roman candle pyrotechnics, alien predators, light saber battles and space cops with mullets – now fully remastered with all-new Special Features that reveal the strange, inspired and sometimes tragic story behind this near-impossible DIY triumph. All press inquiries can be directed to Josh Johnson, josh@severin-films.com. Posted in News and tagged Intervision.